Addictions are not limited to any particular age group. Untold numbers of America's Seniors are addicted to alcohol, drugs, smoking. TodaysSeniorsNetwork addiction section will examine the negative impact of these addictions upon the health and well-being of America's Seniors. Newswise, September 10, 2015 — More people die from overdose of prescription opiate pain medications than from all other drugs combined, including heroin and cocaine. According to the National Institute on Drug Abuse (NIDA), more than 2 million people in the United States suffer from substance use disorders related to prescription opiate pain medications, and overdose deaths have more than quadrupled in the past decade and a half. According to NIDA, in 2013, 207 million prescriptions were written for these pain medications. Physicians and researchers in the Charles E. Schmidt College of Medicine at Florida Atlantic University will work with www.foundation2recovery.org to target this major public health problem using novel approaches to support treatment, prevention and education programs. FAU and foundation2recovery.org have begun discussions to establish a national advisory board composed of medical, scientific and business experts who will help www.foundation2recovery.org identify highly effective and novel approaches to this growing problem, including vital resources that enable families to identify problems early. FAU’s College of Medicine will provide its expertise to help create educational programs and materials, treatment assessment criteria and prevention tools, and will work with the foundation to develop strategies to support evidence-based treatment programs. “The misuse of opiate pain medication is a huge public health problem that impacts families all over the country, at all socioeconomic levels,” said John W. Newcomer, M.D., executive vice dean in FAU’s Charles E. Schmidt College of Medicine and an internationally renowned neuroscientist. According to Partnership for Drug Free Kids, every day 2,000 teens in the U.S. try prescription drugs and 60 percent of them do so before age 15. Furthermore, the Centers for Disease Control and Prevention estimates that of the 22 million Americans who need treatment, only 11 percent actually receive the treatment they need. “I’ve been very fortunate and successful throughout my career and in my business endeavors. Now, I want to use my knowledge and resources to give back and most importantly to save lives,” said Randazza. Newswise, September 14, 2015 — Significant differences in attitudes toward smoking cessation are reported between two generations of smokers in Northern Appalachia in new research from Roswell Park Cancer Institute (RPCI). The qualitative study about beliefs, attitudes and experiences of current and former smokers in Northern Appalachian communities, published online ahead of print in the Journal of Community Health, contributes novel information about smoking cessation. “This novel study offers a better understanding of the perspectives of younger and older, current and former smokers in Northern Appalachia and will inform improvements to relevant cessation interventions. “Ultimately, the goal is to improve the health status among this underserved and at-risk population,” says Elisa Rodriguez, PhD, lead author of the study and Assistant Professor of Oncology in the Office of Cancer Health Disparities Research and the Center For Personalized Medicine at RPCI. Northern Appalachia contains 14 New York state counties, including Chautauqua County. This region is designated as a medically underserved area. Participants were recruited from three small towns within Chautauqua County where the smoking rate, at 25.3%, is much higher than the New York state average. Six focus groups with 54 participants total were stratified by two age groups: (a) 18–39 years old and (b) 40 years and older. Among the participants, 50% had less than a high school education; 39% were Medicaid recipients; and more than 60% reported household incomes of less than $15,000. Overall, 83% reported being a current smoker and smoking status did not differ by age group. This study found that young smokers continue to report less worry and less recognition of the difficulty of quitting smoking. Younger smokers also reported no desire to be approached about their tobacco use within a discussion of an addictive health problem that requires assistance. Conversely, participants age 40 and older more readily acknowledged the health risks of smoking and had a greater interest in quitting assistance. • On the role of government and tobacco companies in smoking: Participants ages 18–39 acknowledged their role in quitting smoking yet they also stated the perception that the tobacco companies profited from their habit. Participants in the 40+ age group blamed the government for not protecting them from tobacco companies or addiction. • Behavior and practices with the use of social media and the Internet: Social media use was common among both age groups. Neither age group discussed the use of the Internet for health-related purposes. • Automated calling with quit smoking messages: Both age groups expressed limited receptivity to receiving automated calls with tips on quitting smoking. • Attitudes toward media and public service announcements regarding smoking cessation: The 18–39 age group was familiar with New York State Smokers’ Quitline commercials and talked about how those advertisements influenced their willingness to stop smoking. Although identical questions were asked of both groups, the 40+ age group did not discuss or offer commentary about the commercials. 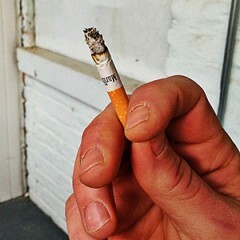 “The findings from this study add both novel and important information about the beliefs, attitudes and experiences of current and former smokers living in an understudied area of Northern Appalachia. Future studies should further explore the application of innovative smoking cessation interventions within Appalachian communities that make use of social media and other novel technologies,” adds Dr. Rodriguez. Martin Mahoney, MD, PhD, senior author of the research and Professor of Oncology in the Department of Medicine at RPCI, adds, “This study demonstrated that the Appalachian population confronts increased health risks associated with tobacco use when compared to many of their national counterparts. This work has been supported in part by The Western New York Cancer Coalition Center to Reduce Disparities Grant from the National Cancer Institute’s Center to Reduce Cancer Health Disparities (award no. U54CA153598). The authors have no conflicts of interests to declare. The mission of Roswell Park Cancer Institute (RPCI) is to understand, prevent and cure cancer. Founded in 1898, RPCI is one of the first cancer centers in the country to be named a National Cancer Institute-designated comprehensive cancer center and remains the only facility with this designation in Upstate New York. The Institute is a member of the prestigious National Comprehensive Cancer Network, an alliance of the nation’s leading cancer centers; maintains affiliate sites; and is a partner in national and international collaborative programs. For more information, visit www.roswellpark.org, call 1-877-ASK-RPCI (1-877-275-7724) or email askrpci@roswellpark.org. Follow Roswell Park on Facebook and Twitter. Newswise, September 3, 2015 — Scientists have pinpointed a population of neurons in the brain that influences whether one drink leads to two, which could ultimately lead to a cure for alcoholism and other addictions. A study, published in the Journal of Neuroscience by researchers at the Texas A&M Health Science Center College of Medicine, finds that alcohol consumption alters the structure and function of neurons in the dorsomedial striatum, a part of the brain known to be important in goal-driven behaviors. The findings could be an important step toward creation of a drug to combat alcoholism. Now, Wang and his team have helped come a little closer to that understanding. Using an animal model, the researchers determined that alcohol actually changes the physical structure of medium spiny neurons, the main type of cell in the striatum. These neurons can be thought of like a tree, with many branches, and many small protrusions, or spines, coming off of them. They each have one of two types of dopamine receptors, D1 or D2, and so can be thought of as either D1 or D2 neurons. D1 neurons are informally called part of a “go” pathway in the brain, while D2 neurons are in the “no-go” pathway. In other words, when D2 neurons are activated, they discourage action — telling you to wait, to stop, to do nothing. Although it is well known that the neurotransmitter dopamine is involved in addiction, this study goes further, showing that the dopamine D1 receptor also plays an important role in addiction. The team found that periodic consumption of large amounts of alcohol acts on D1 neurons, making them much more excitable, which means that they activate with less stimulation. “If these neurons are excited, you will want to drink alcohol,” Wang said. That is to say, when neurons with D1 receptors are activated, they compel you to perform an action — reaching for another bottle of tequila, in this case. This then creates a cycle, where drinking causes easier activation, and activation causes more drinking. These changes in activation of D1 neurons might be related to the physical changes happening at the sub-cellular level in brains that have been exposed to alcohol. They have longer branching and more of the mature, mushroom-shaped spines — the type that stores long-term memories — than their abstaining counterparts. Conversely, the placebo group, the ones not exposed to alcohol, tended to have more of the immature versions of the mushroom-shaped spines in D1 neurons of their brains. The total number of spines didn’t change in the two groups, but the ratio between mature and immature was dramatically different between the alcohol group and the placebo group. This has important implications for memory and learning in drug addiction. 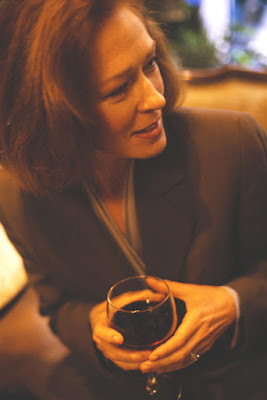 “When you drink alcohol, long-term memory is enhanced, in a way,” Wang said. Because there was no difference in the number of each type of spine in the D2 (no-go) neurons of alcohol-consuming and control models, the researchers realized there was a specific relationship between D1 neurons and alcohol consumption. “We’re now able to study the brain at the neuron-specific and even spine-specific level,” Wang said. How do you determine which neuron, which type of neurons or which group of neurons is responsible for a specific disease? That’s what the next part of the study tried to answer. The alcohol-consuming animal models with the increased mature spines in D1 neurons also showed an increased preference to drink large quantities of alcohol when given the choice. “Even though they’re small, D1 receptors are essential for alcohol consumption,” Wang said. Furthermore, and perhaps most excitingly, when those same animal models were given a drug to at least partially block the D1 receptor, they showed much-reduced desire to drink alcohol. However, a drug that inhibited the D2 dopamine receptors had no effect. “If we suppress this activity, we’re able to suppress alcohol consumption,” Wang said. The study, which was co-authored with researchers from the University of California San Francisco, was supported by a grant from the National Institute on Alcohol Abuse and Alcoholism (NIAAA).